Can’t decide whether to head for the big city or the beach? 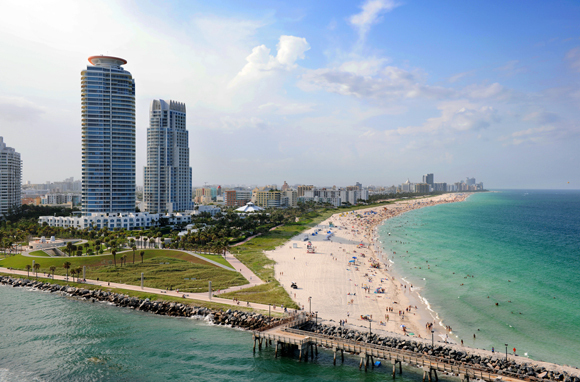 Get the best of both worlds in Miami, Chicago, and other far-flung destinations where skyscrapers and hot pavement give way to patches of sand and beautiful people. These 10 great urban beaches range from the iconic to the up-and-coming. Read on to find out which two cities barged in heaps of sand this year to create new beaches in places you’d never imagined. 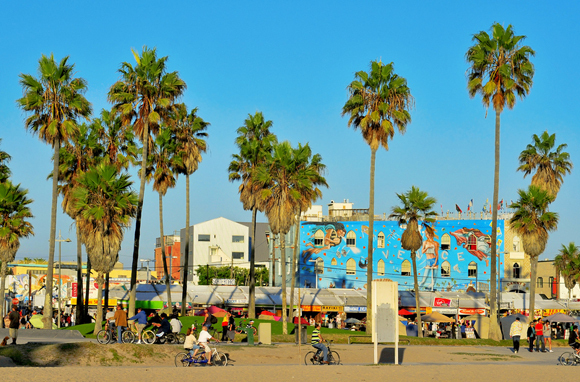 If there's one shoreline that's used to getting upstaged by people watching, Venice Beach is it. At any given moment along the boardwalk you could see bikini-clad roller skaters, chainsaw jugglers, belly dancers, palm readers, drum circles, or bodybuilders in Speedos. It's a colorful cast joined by a host of souvenir vendors vying for attention. For those seeking out actual beach activities, there's volleyball and swimming, and the breakwater is a favorite among local surfers. How clean is the water? Heal the Bay's Beach Report Card, which rates hundreds of West Coast beaches, gave this shore an A+. What to Do: Grab an outdoor patio table for brunch at The Rose Cafe, a quintessential bohemian Venice Beach mainstay, or sip a cocktail after a day in the sun at James' Beach restaurant. Cool boutiques and galleries line Abbot Kinney Boulevard. 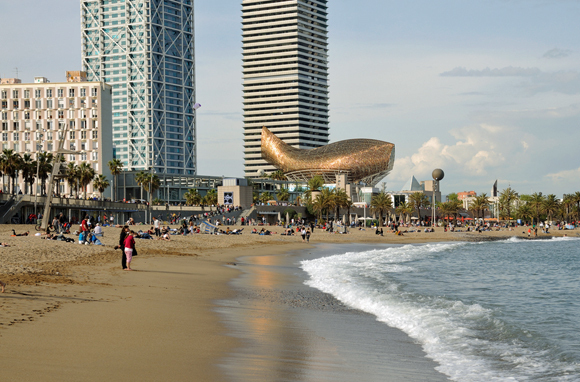 Once a hard-working district of fishermen and metal workers, the Barceloneta was transformed for the 1992 Olympics and is now one of the city's best places to hang out. The wide beach, nearly a three-quarter-mile stretch between Port Vell and the Olympic Marina, effortlessly embodies all that there is to love about Barcelona: beautiful people, fresh seafood, and quirky art. Little restaurants and tapas bars line the beachfront promenade, filling the air with sangria-fueled chatter and the savory aroma of paella. What to Do: At the far north end of the beach, check out Frank Gehry's massive abstract fish sculpture, Peix D'Or. Another landmark beach sculpture is Rebecca Horn's L'Estel Ferit (The Wounded Shooting Star), whose precariously stacked cubes are said to represent the area's pre-Olympics ramshackle seafront bars and restaurants that were demolished. 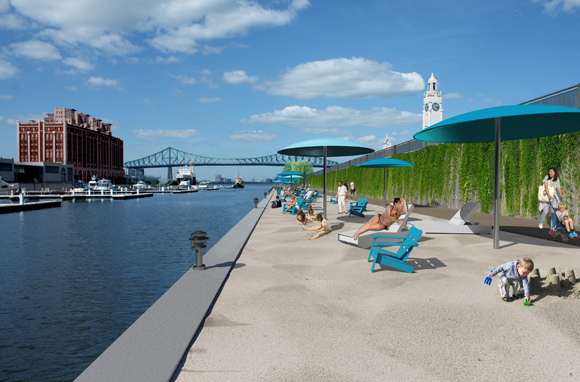 Inspired by Paris Plages' annual summertime transformation of the Seine riverside into a faux Cote d'Azur beach setting, Montreal opens its own urban beach along the St. Lawrence River this June. Clock Tower Beach, built on the Old Port's Clock Tower pier, is piled with truckloads of sand and dotted with bright blue parasols and Adirondack chairs that look out over Old Montreal, the Jacques Cartier Bridge, and Ile Sainte-Helene. No swimming is allowed in the swift river, but you can cool off in the outdoor showers on the boardwalk. What to Do: Grab a treat at one of the snack bars and find shade under trees on the pier's east side. Climb the 192 stairs to the top of the 1922 Clock Tower. Near the pier entrance you can rent pedal boats. A heartbreakingly gorgeous 17-year-old's daily walk to the sea inspired the '60s bossa nova song The Girl from Ipanema. 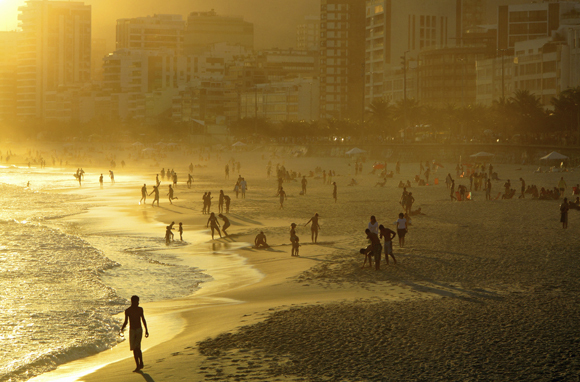 And five decades later, tall and tan Brazilians still make this one of the world's sexiest beaches. 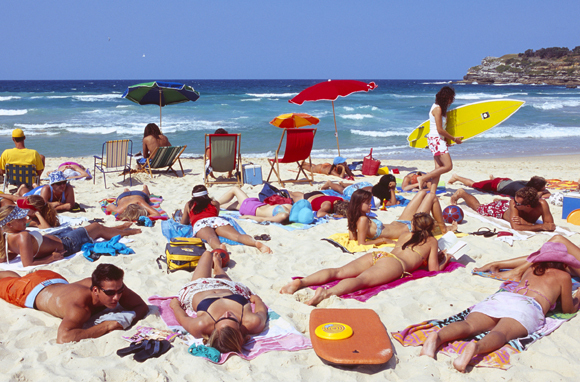 Known for white sand and barely-there bikinis, Ipanema Beach attracts fashionable locals from all walks of life. Near one lifeguard post you'll find families; near other posts are the gay and lesbian crowd, the celebrities, or the athletes playing beach sports. 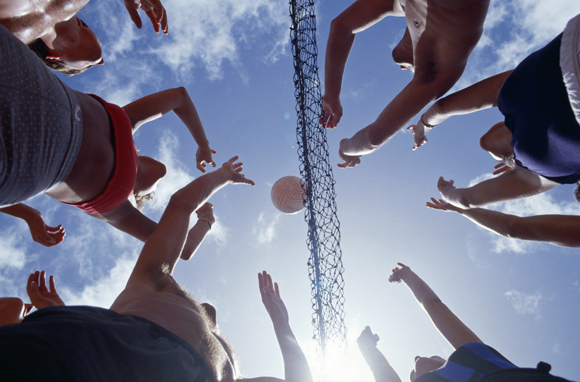 What to Do: Strip down to your thong and join a game of beach volleyball, soccer, or footvolley, a combination of the two. In the beach bars you can try a caipirinha (Brazil's national drink, with cachaca, limes, and sugar) and sway to infectious bossa nova rhythms. Save time to browse boutiques and high-end jewelry shops along Rua Visconde de Piraja. Hundred-thousand-dollar cars, beautiful bodies, and glitzy style—everybody's showing off something on the South Beach strip. And the backdrop makes it all even more alluring: warm, turquoise water on one side and chic art-deco-style hotels and cafes on the other. Then there's the delicious melting pot of cultures that shows up in the music and food. A day on the beach is like an escape to another country. Best of all, the party lasts all night in South Beach's clubs and on its streets. What to Do: Get in on a game of beach volleyball or rent a Jet Ski. One of the best values for sightseeing is Bike and Roll's Segway tour. For a break from the action, walk south on the beach to South Pointe Park and have a picnic or watch cruise ships sailing out to sea. From here the views of the city are great, especially at night. Just in time for the Summer Olympics, Londoners are ferrying enough sand up the Thames River from North Norfolk to build the largest man-made beach in Europe: Beach London. Think deck chairs, daybeds, bars, a restaurant, a sand volleyball court, play areas for kids, and room for thousands of sunseekers across four acres. It's on Greenwich Peninsula, where the Thames River turns a big S-curve right next to the city's major concert venue, The O2 arena. The perfect spot to preparty while overlooking the Canary Wharf skyline? Absolutely. What to Do: In July and August hear bands and international-circuit DJs on the beach or catch a beach-volleyball tournament, a beach-rugby match, a fashion show, and other events. During the Olympics you can watch live coverage on big screens and check out the VIP village. If Jerusalem is Israel's responsible, buttoned-up firstborn child, then Tel Aviv is the fun, freewheeling youngest sibling. 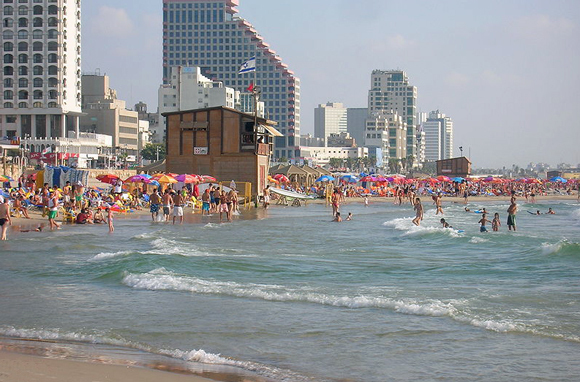 On warm days, Tel Avivians are quick to hit the city's 13 beaches that span more than eight miles along the Mediterranean. And Gordon-Frishman Beach, closest to the city core, is one of the hippest places to be seen. Beach bars, DJs, and volleyball courts draw a cosmopolitan crowd, and on weekends you have to arrive early to stake out a spot on the wide beach. What to Do: Come for an early-morning workout in the saltwater outdoor pool. Stop at a cafe along the seaside Tayelet ("promenade" in Hebrew), or follow the path to adjacent beaches where you'll see kite surfers and people playing a type of beach tennis called matkot, unofficially the country's national sport. Summer afternoons at this Lake Michigan beach almost make Chicago's blustery winters forgivable. 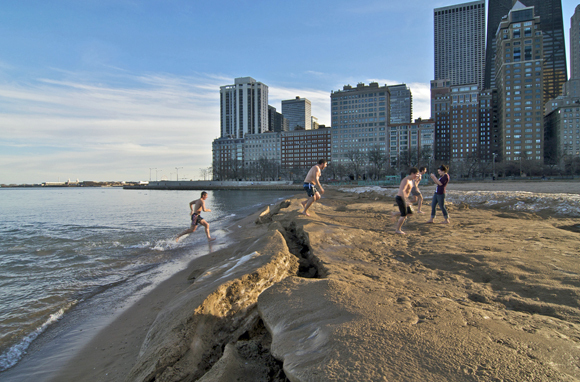 At the first sign of flip-flop weather, downtown residents and visitors hit Lincoln Park's North Avenue Beach, a sandy lakeshore that turns Midwesterners into beach bums. A party vibe surrounds the sand volleyball courts that host international tournaments, league play, and even pick-up games with average Joes. Arrive early on sunny days to snag a court or a seat outdoors at Castaways Bar, where you can watch, cocktail in hand, or order a burger at the walk-up window. The bar is in the city's iconic cruise-ship-shaped beach house that also has a bike-rental shop. What to Do: See the Blue Angels make dramatic swoops overhead during the annual Chicago Air & Water Show in August. 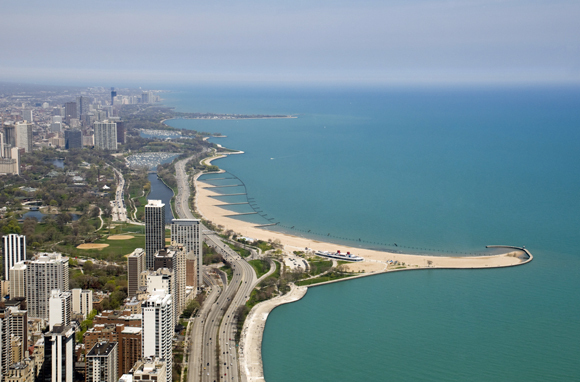 Ride or jog the 18-mile paved lakefront trail to the tony Oak Street Beach, Shedd Aquarium, or the free Lincoln Park Zoo. Australians love their beaches, and for backpackers and billionaires, swimsuit models and surfers, Bondi Beach is the go-to stretch of sand. In the 'burbs four miles from downtown, this is where the party starts before it spills into the surrounding hole-in-the-wall bars and fancy seaside restaurants. It's also a popular place to learn to surf. Check out the live surf cam to see surfers at the beach's south end and swimmers in the calmer waters of the north end. Bondi's lifeguards, who make about 5,000 rescues each summer on this busy beach, are the stars of the Bondi Rescue Australian TV series. What to Do: Wander the stalls of bohemian clothing and artwork at the Saturday Bondi Markets or shop for swimwear in shops along Campbell Parade. The Bondi to Bronte Coast Walk (two-and-a-half miles) leads to great views and coffee shops. 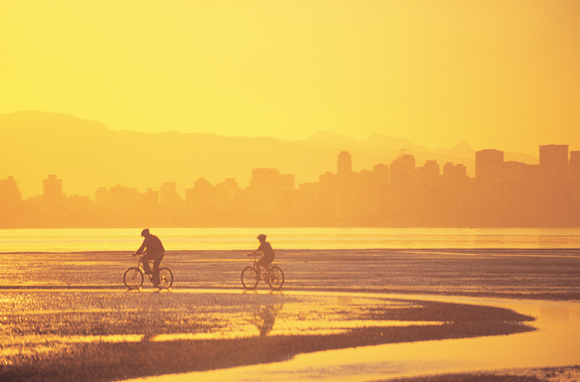 This downtown West End beach, with views of mountains and huge freighters waiting to unload in Vancouver's port, is one of the city's best spots for watching sunsets. Kids love the ice-cream vendors, the hot-dog carts, and the swim raft with a large slide. But don't miss the fresh seafood from the deck at The Boathouse restaurant and the delicious-but-pricey cupcake shop in this trendy neighborhood. In July and August, English Bay Beach packs out for the annual Celebration of Light fireworks competition, one of the largest offshore displays in the world. If you're here on New Year's Day, you can join more than 2,000 others for the annual polar-bear plunge. What to Do: Rent a bike and ride or rollerblade along the seawall trail that rims Stanley Park (bigger than New York City's Central Park), which sits adjacent to the beach. Ecomarine rents kayaks and stand-up paddleboards at English Bay Bathhouse from June to September.